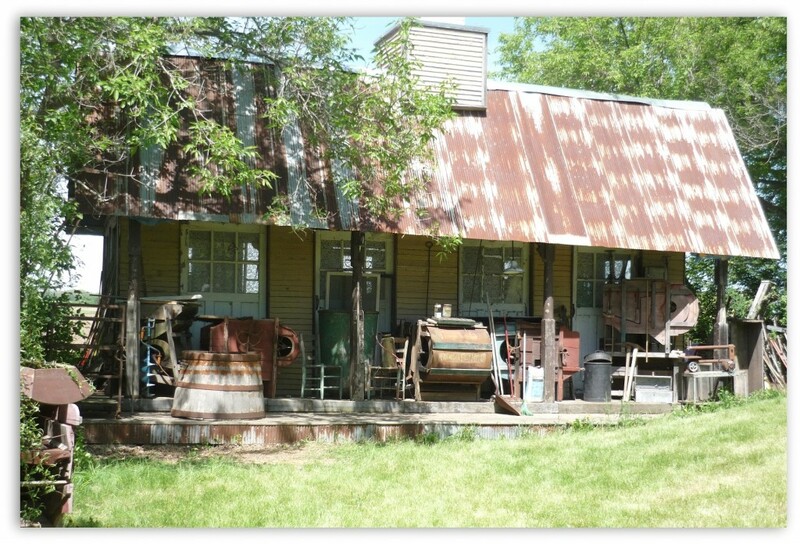 Several times a year Hippie Tom opens his Serendipity Farm to the public to enjoy his vast collection of artistically displayed antiques. 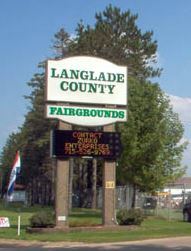 These displays are staged in a barn, greenhouse, corn crib, sheds, and outhouses. The buildings are nestled among trees, framed with shrubbery and flowers. In the nooks and crannies, one will find artifacts from long ago. It is almost like an archaeological dig as you walk the grounds and buildings discovering artistic sculptures created from objects of the past. One must look high, low and in-between to capture the plantings on this farm. There are bicycles and kayaks growing in the trees and piglets playing in the garden. 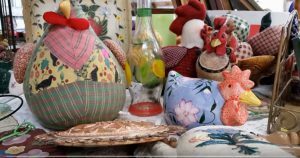 This is a perfect destination for anyone who is looking for the unusual decorative piece for their home or collections. As you browse the farm you just might find what you are looking for. 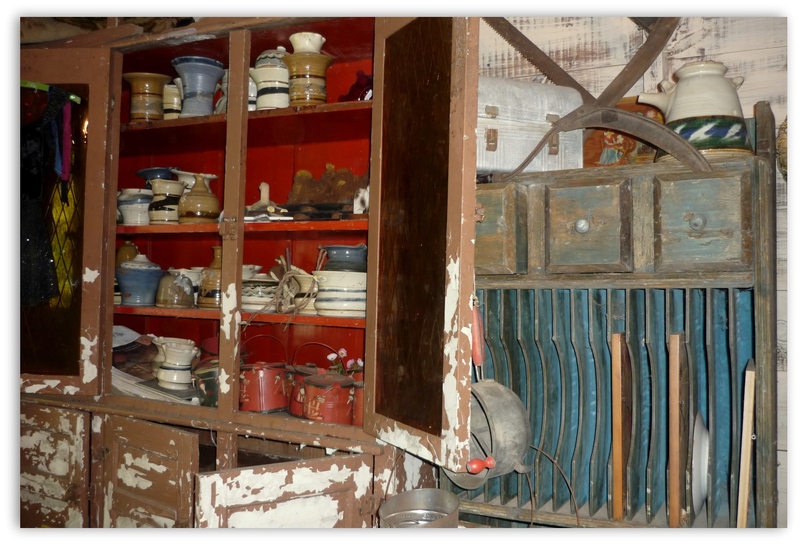 Objects that were once used in businesses have been re-purposed into display cases. Such as this vintage wooden bin is now a display for pottery and glassware. As you can see below there are thousands of treasures waiting for you to discover them. 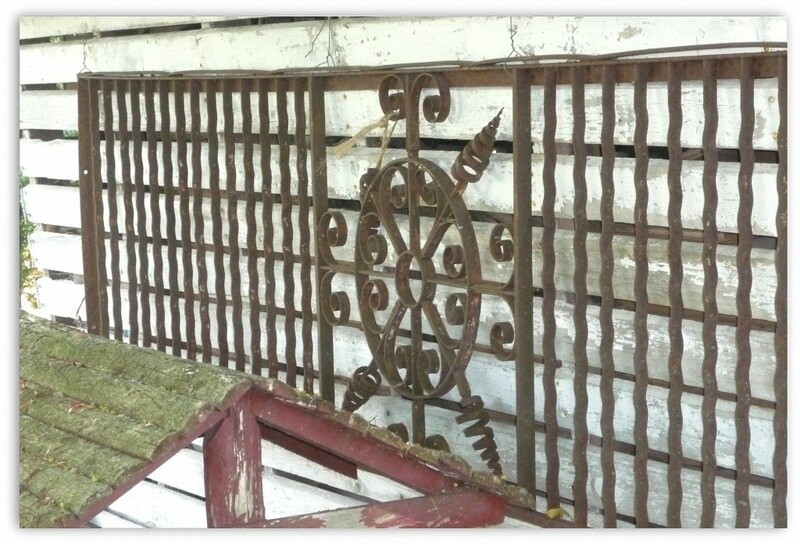 Looking for an antique wrought iron gate? Vintage iron gates can be used as an accent piece for a wall inside your home or a unique sculpture to place in your yard. The corn crib below beautifully displays an ornate vintage Iron Gate. With age, iron takes on a rusty color that enhances the shape of an object. The gates have unique designs that were created by local blacksmiths. 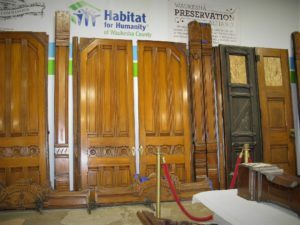 Bring the past into your home with a vintage piece of cabinetry. These pieces make the perfect solution for your storage needs. The cabinet on the left comes with stained glass doors. With a little cleanup and minor repair, your home will welcome these pieces. No distressing needed, just a little TLC. Notice the vintage red and blue colors that were used on these cabinets. My favorite building is the greenhouse, filled with colorful garden gazing balls and the charming sound of garden chimes. A few plants are scattered here but mostly sculptural displays of vintage ware. Such as one of a kind sculptures made out of vases and dishes stacked upon each other. 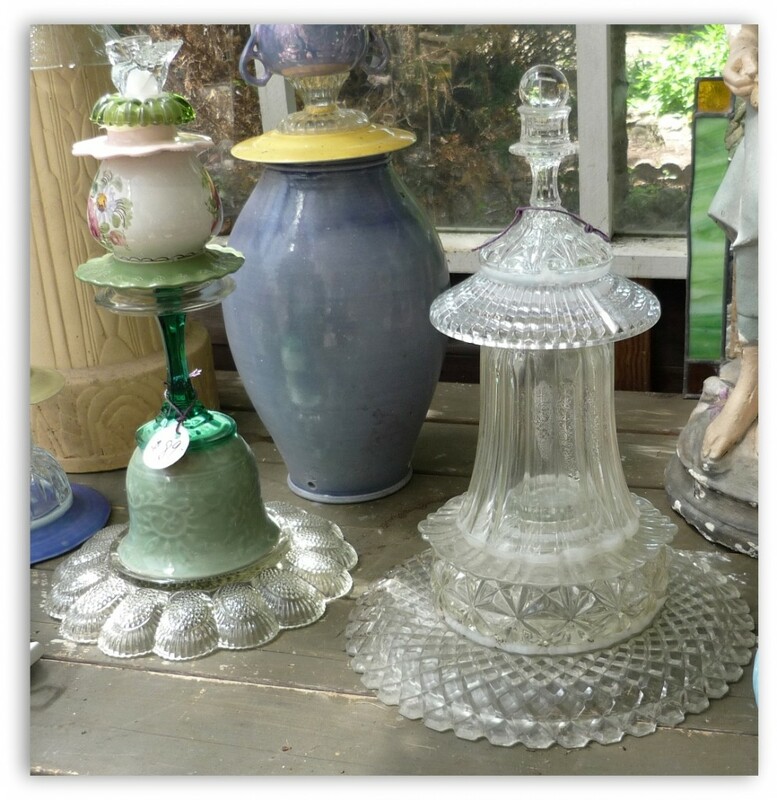 If you are looking for ideas on what to do with your old glassware take special note of how these items are displayed. 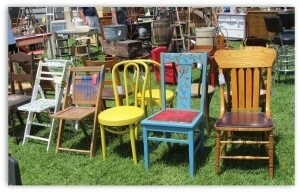 It is so unique to see these vintage pieces being re-purposed. 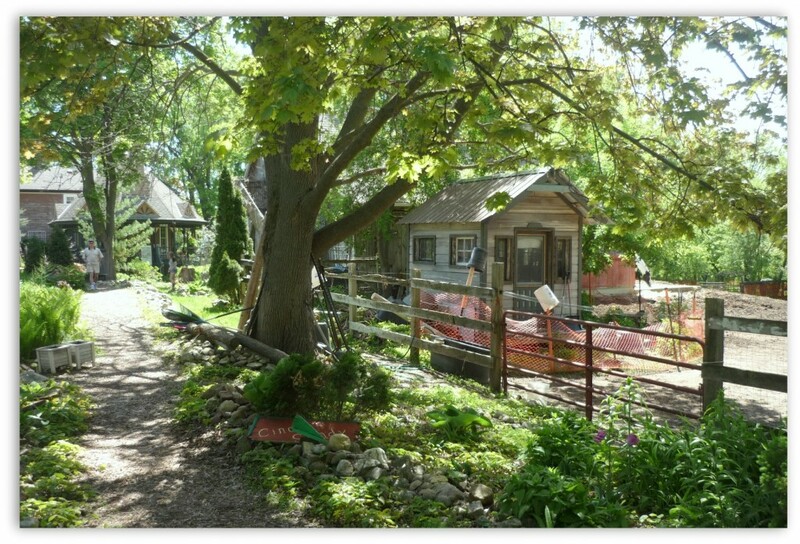 Many of the buildings on the farm were designed and built by Hippie Tom. 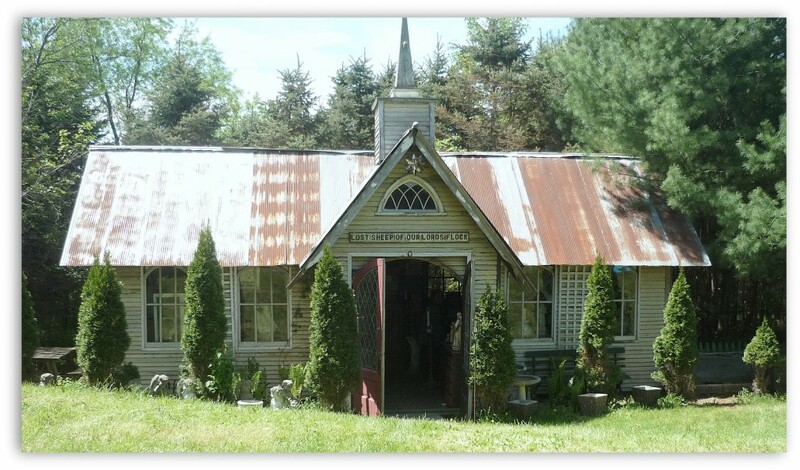 If you look closely at this shed/building you will see that it resembles a small church. What is inside is sure to delight. I will leave it as a surprise for you to discover. 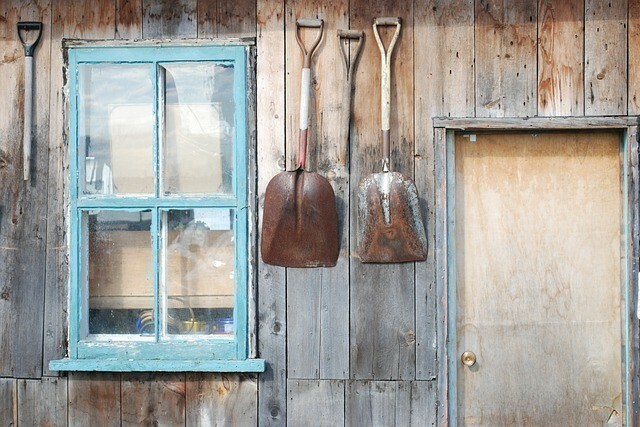 If you grew up on a farm you may recognize these vintage farm pieces. If not, it is fun to try and guess what they were used for. I remember some of them from my past – but so many of them were left to my imagination. Do you recognize any of these pieces? 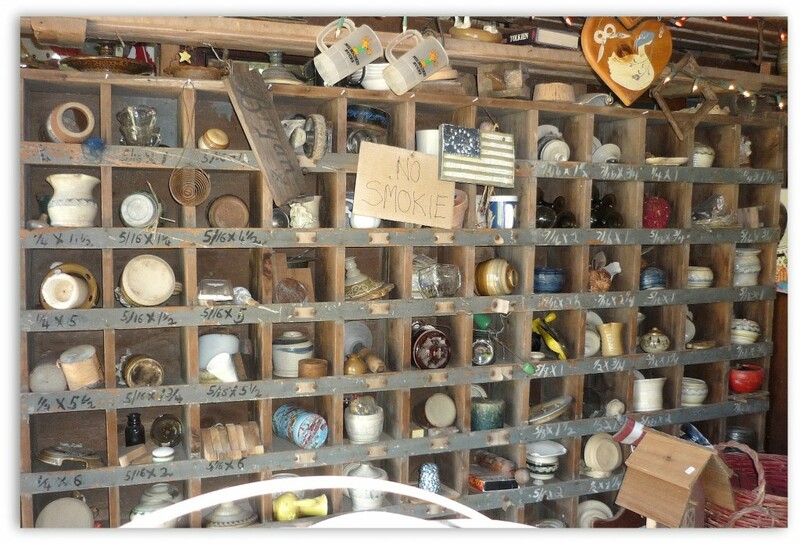 When it comes to displaying objects from the past a simple wall can turn into a delight for the eye. 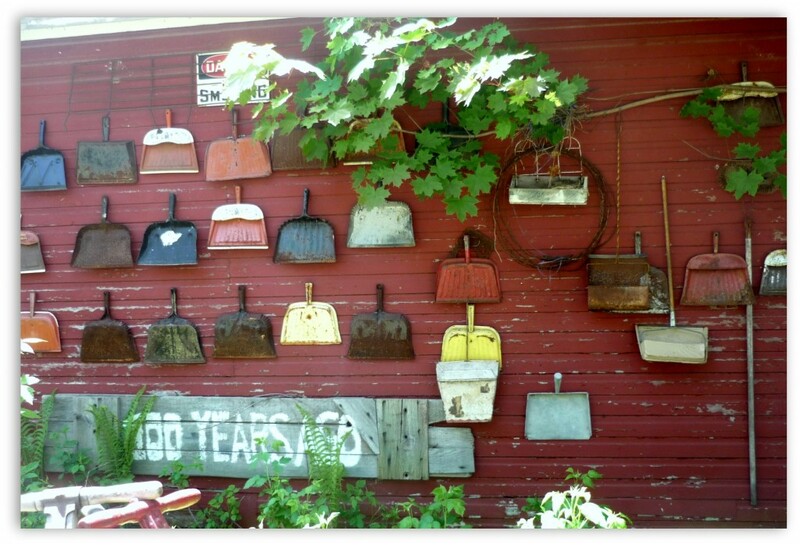 The garden shed wall makes a perfect canvas for these dustpans. Be creative with your collections. Did you ever think that dustpans would become a collectible? 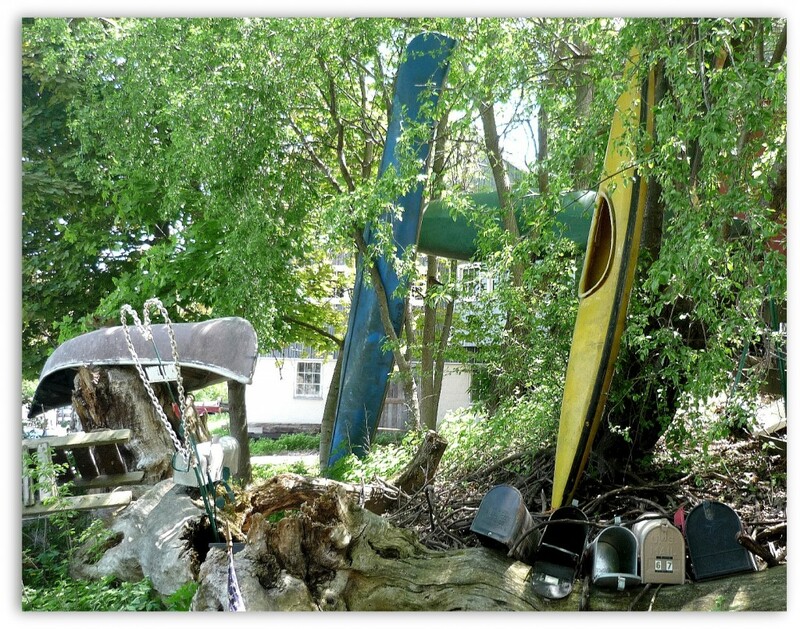 The first and last view that you will discover at Hippie Tom’s Serendipity Farm is a collection of canoes and kayaks nestled in the trees like Christmas ornaments. They greet you with a warm hello and leave you with a memorable goodbye. 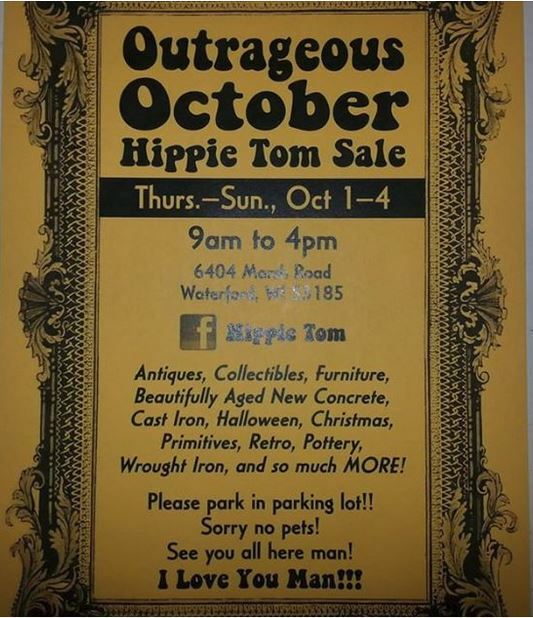 If you would like to attend the next event at The Serendipity Farm follow Hippie Tom on Facebook. 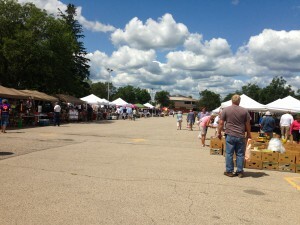 Follow Discover Wisconsin Antique Shops’s board Hippie Tom’s Serendipity Farm on Pinterest. When is the October sale-I missed the spring fling.